Yesterday saw final confirmation of the contents of the High Level Output Specification (HLOS) 2012, the DfT’s outline of work to be carried out on the railways between April 2014 and March 2019 (Control Period 5). The HLOS is not a line-by-line plan. It does not provide in-depth details on everything that Network Rail will carry out between 2014 and 2019. What it does is set out the key objectives and projects which the Government wishes to see completed, and where it would like to see money spent, with Network Rail being tasked with seeing those objectives and projects planned and completed. It’s thus a good – but not necessarily definitive – indicator of what will happen between 2014 and 2019. The HLOS features plenty of projects that will already be familiar. The completion of Thameslink and Crossrail both feature as does Great Western Electrification. Indeed it is perhaps fair to say that the press and PR associated with the announcement has been somewhat overenthusiastic. Of the “£9bn of new spending” it boasts, approximately £5bn is simply funds needed to complete existing work such as Crossrail and Thameslink. The overall themes of the HLOS are, however, promising and both these and the areas of genuine new spend country wide show a welcome acceptance of something that many in the railway industry have argued for for some time – a mass programme of electrification and a genuine effort to improve the rail freight network within the UK. There is also an eye to the need to rework various major terminals (both within London and without) to deal with ever-increasing peak time passenger numbers. Before looking at what was in the HLOS announcement, however, its worth beginning by looking at something that categorically isn’t – electrification of the Gospel Oak to Barking Line (GOBLIN). The quest (and reasons) to electrify the GOBLIN have been well covered here on LR. The line represents one of the last major diesel gaps in the electric suburban map, and as passenger numbers on the Overground have demonstrated (and which the ELL extension to Clapham Junction will likely prove again) there is lot of repressed demand out on the orbitals. Indeed the timeframe in which the GOBLIN’s relatively new two-car Diesel 172’s have been overwhelmed, and TfL’s passenger forecast numbers between now and 2016, indicate that the GOBLIN has a similar potential for explosive growth. Yet without electrification there is little chance of seeing much capacity expansion on the line, as small, relatively isolated, diesel fleets do not make sense in operational, fleet or financial management terms. Similarly the freight case for electrifying the GOBLIN would seem to be even stronger today than it has been in a considerable amount of time. Sources also suggest that discussions with lead tenants on the new London Gateway estate are also going well. Given the overriding themes of the HLOS, with its emphasis on electrification and freight, it has therefore puzzled some as to why the GOBLIN has been left out in the cold – particularly as TfL themselves pushed for its inclusion when they submitted their own HLOS recommendations last year. Its absence however, is perhaps as not as much of a surprise as some might think. Back in May, we highlighted that there were warning signs that GOBLIN Electrification would not make it into the HLOS. TfL had published a request for tender for longer diesel trains to run on the line, and whilst this in itself was certainly no firm guarantee that the scheme was off the table, more troubling was confirmation from sources that Network Rail’s assessed cost for electrifying the line was far higher than either TfL or the DfT had expected – £90 – £100m. Taken together, TfL’s tender notice and talk of a high upgrade cost seemed to suggest that the skies above Gospel Oak were not entirely cloud free. The cost in itself should not be an insurmountable problem – the business case is still strong, just as it has always been, but the GOBLIN’s money problems have arguably never really been about how much the work would cost, they have been – and it appears still are in HLOS terms – about who pays. Jeremy Corbyn (Islington North) (Lab): Does the electrification programme include the electrification of the Barking to Gospel Oak section of London Overground? I had a meeting with one of her colleagues about this some months ago. It would make freight transportation from the east of England easier, improve passenger services, save a lot of money, and be environmentally sensible. Will she go for it? Justine Greening: I take the hon. Gentleman’s point. That is not part of the electrification plans that we have announced today. Ultimately it is for Transport for London to fund it if it wants to do so, but I am sure that it will take on board the points that the hon. Gentleman has made and, if the business case stacks up, might consider it. Caroline Pidgeon: In the last Mayor’s Question Time you stated that the socio-economic business case for the electrification of this line has been made. Will you share the cost-benefit ratio that your team has produced to support the electrification? Mayor Johnson (Written Answer): The economic appraisal of Gospel Oak to Barking electrification has been undertaken by Network Rail. The “Network Route Utilisation Strategy, Electrification” published by Network Rail in October 2009 showed a benefit:cost ratio for the scheme of 2.4:1, which is high value for money under DfT appraisal rules. Funding for the electrification is a matter for the DfT but I have lobbied, and will continue to actively lobby for this. As mentioned above, this dispute over funding is not a new problem, but it is one that still does not appear to have been resolved. Indeed sources seem to confirm that this was indeed the major issue that prevented GOBLIN Electrification appearing in the HLOS. 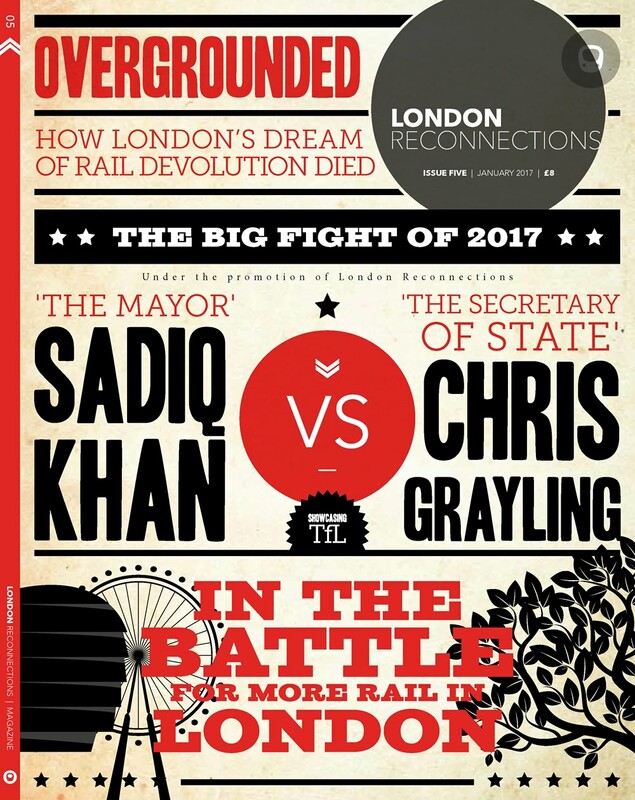 According to sources, late on in the HLOS negotiations, the DfT informed various devolved local transport authorities – including TfL – that it considered a number of local rail projects (including orbital services in London) to be the responsibility of those bodies to finance and project manage. Despite protest from those bodies that this had not appeared to be the case in the initial HLOS development process, this was the line ultimately taken with regards to the final HLOS and the grounds on which GOBLIN Electrification was rejected. This account of events seems to match with that related on Jennette Arnold’s website. Thus confirming again that it is the “who” rather than the “how much” that continues to be the issue. Ultimately, the omission of the GOBLIN from the electrification plan does not mean that it definitely won’t happen. Whilst the project appears to have become something of a financial and political football, the business case is strong and – almost perversely – various elements of electrification within the HLOS do appear to make the case even stronger. It is tempting (but perhaps unfair) to think that the DfT’s rejection of the electrification was in part a response to TfL’s own rejection, back in 2009, of the DfT’s offer to part fund the project. If that is the case, then it is to be hoped that both parties have now made their point and that sense will prevail. Ultimately there is still scope for the work to be carried out under the HLOS, thanks to the presence of funds earmarked for strategic freight works (which we will look at in part 2) or similar projects. With this in mind, those looking for movement on the GOBLIN front would do well to mark January 2013 in their diaries. It is then that Network Rail themselves will publish their more detailed Strategic Business Plan for Control Period 5 – if the funding debate is finally to be ended, then it will most likely be in here.